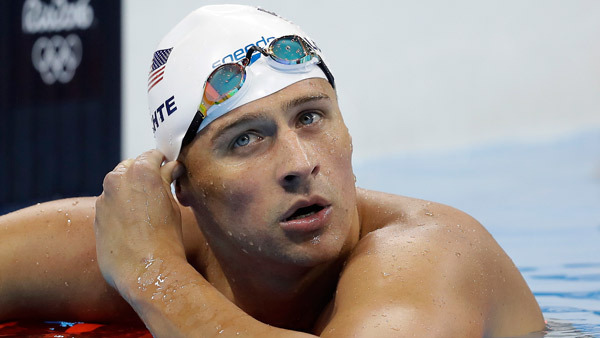 Swimmer Ryan Lochte has been suspended 10 months by the United States Olympic Committee and USA Swimming for the late-night incident at a gas station during the Rio Games last month, according to multiple reports. The 12-time Olympic medalist has said a stranger pointed a gun at him and demanded money to let him leave. Lochte had initially called it a robbery; Brazilian police said he and three other swimmers vandalized a gas station bathroom and were confronted by armed security guards. The three other swimmers were involved in the incident, which became a major storyline of the Rio Games, were Gunnar Bentz, Jack Conger and Jimmy Feigen. Lochte reportedly will miss the 2017 world championships as part of the suspension, which was first reported by TMZ Sports.